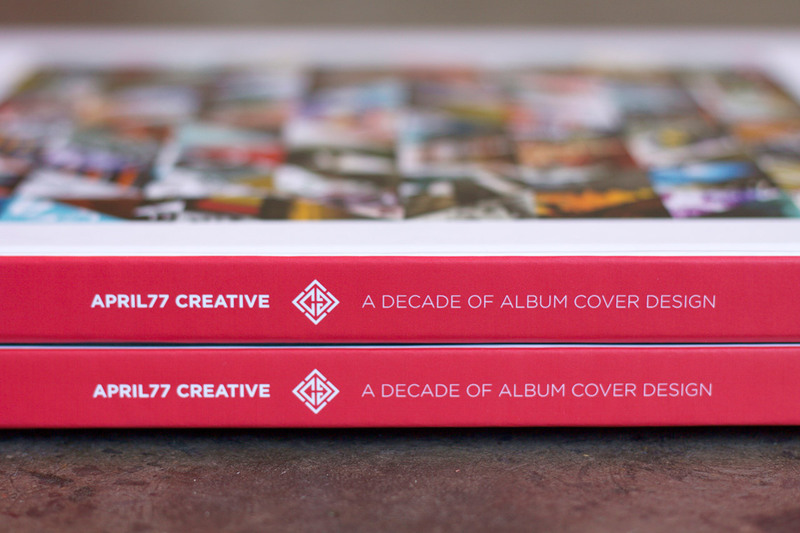 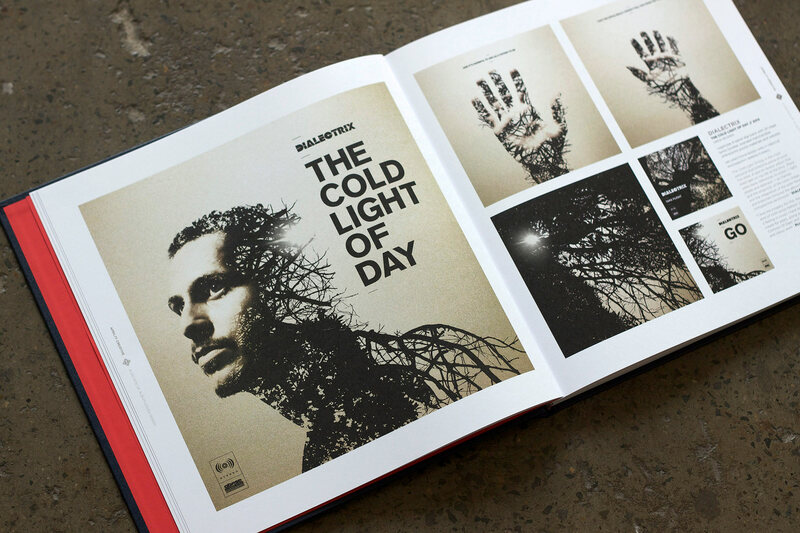 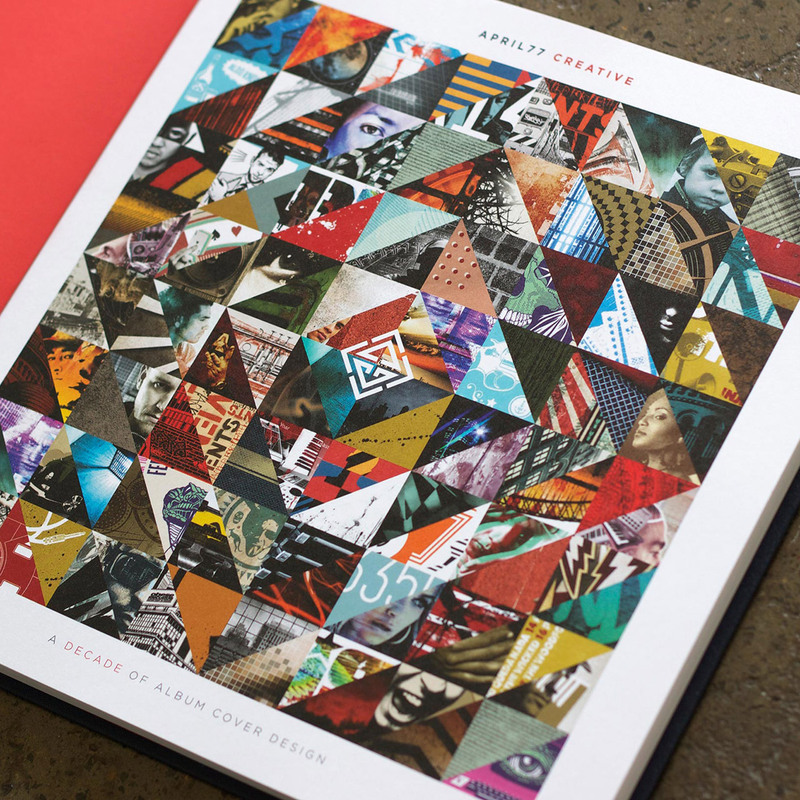 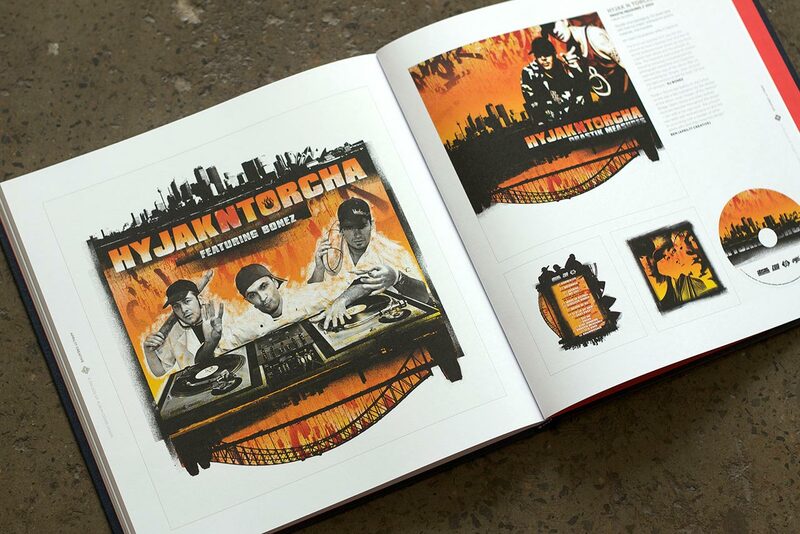 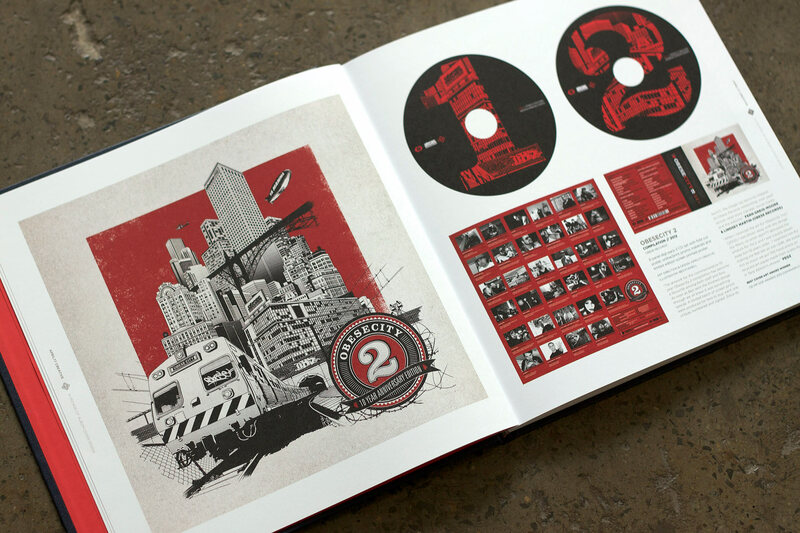 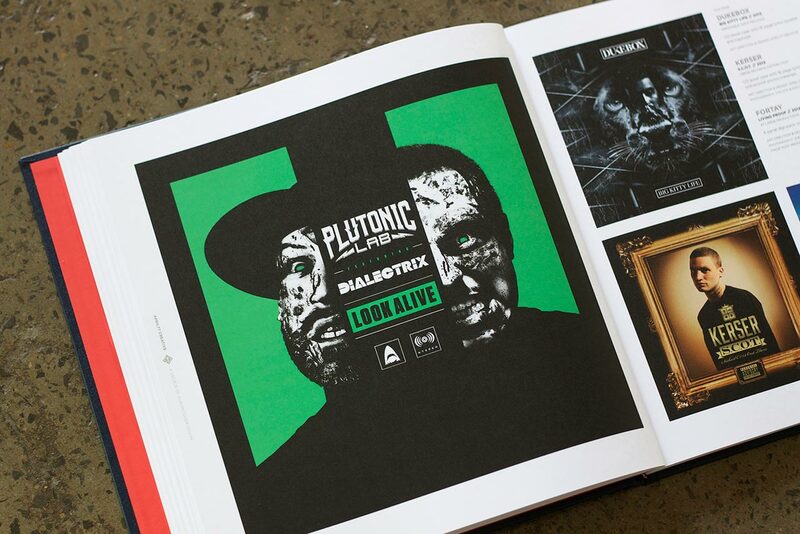 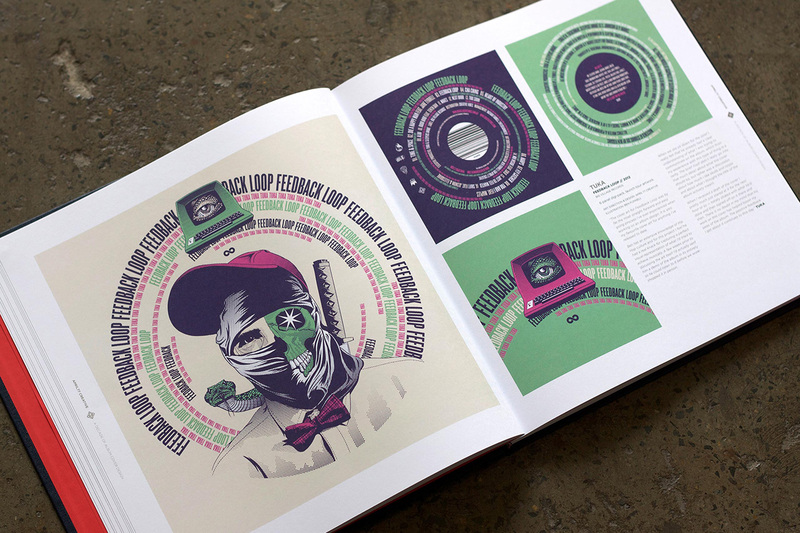 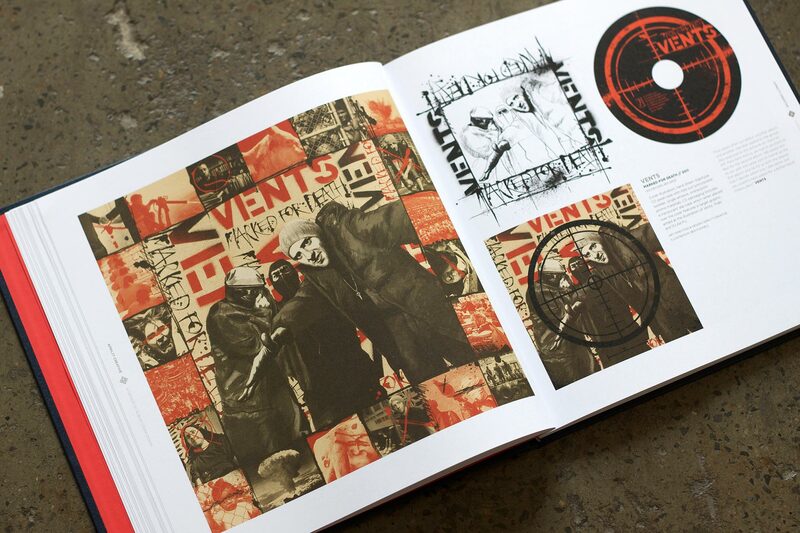 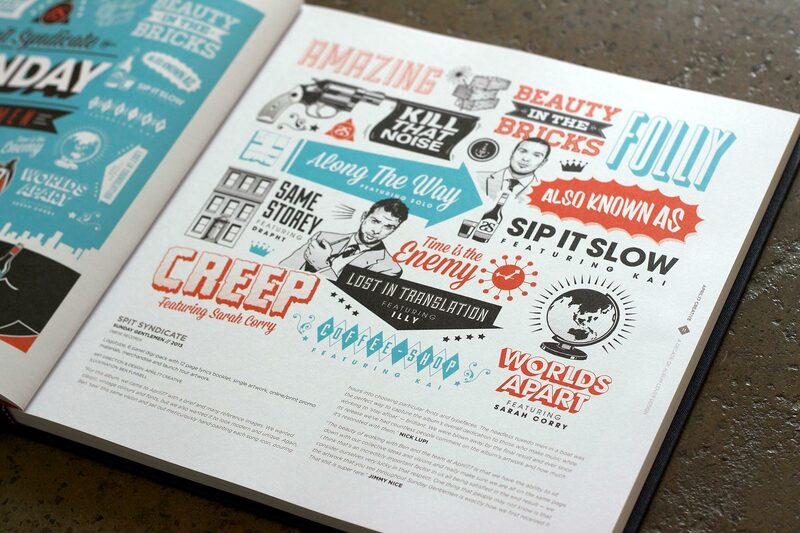 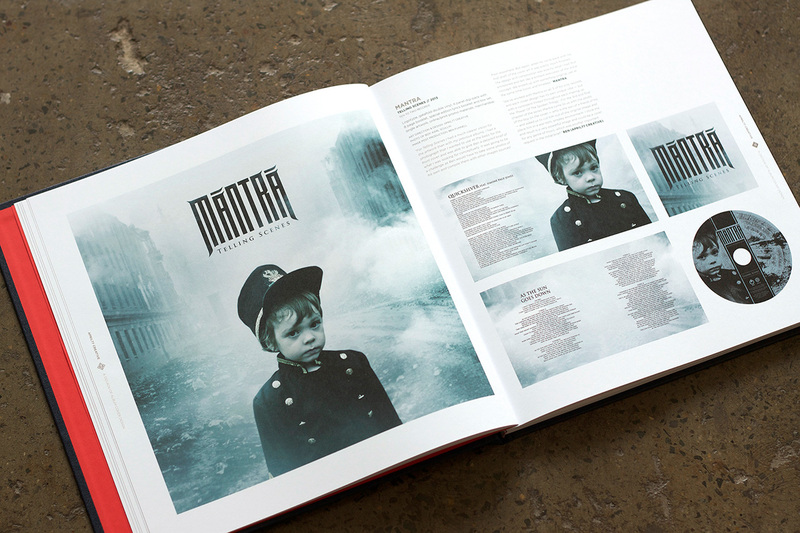 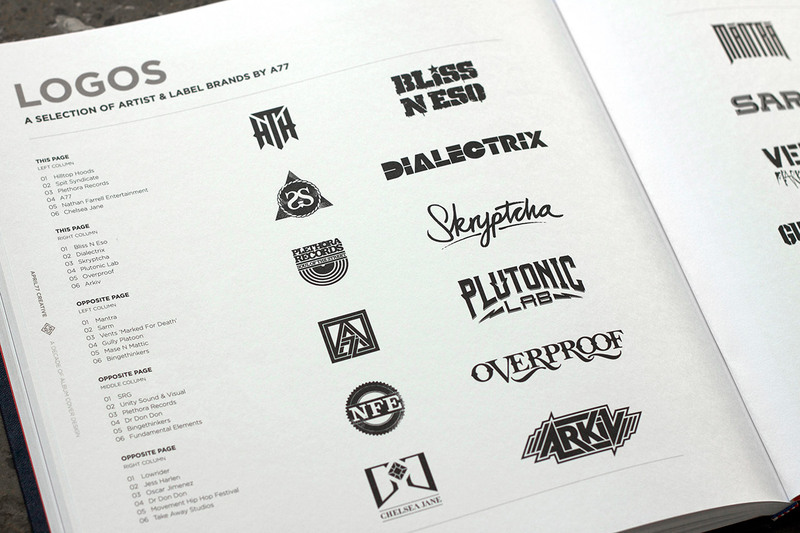 April77 Creative – A Decade Of Album Cover Design is a 12″ vinyl LP sized, premium quality, limited edition book collecting many of the cover designs the studio has produced over the past ten years, including work for a who’s who of the Australian Hip Hop scene and other genres. 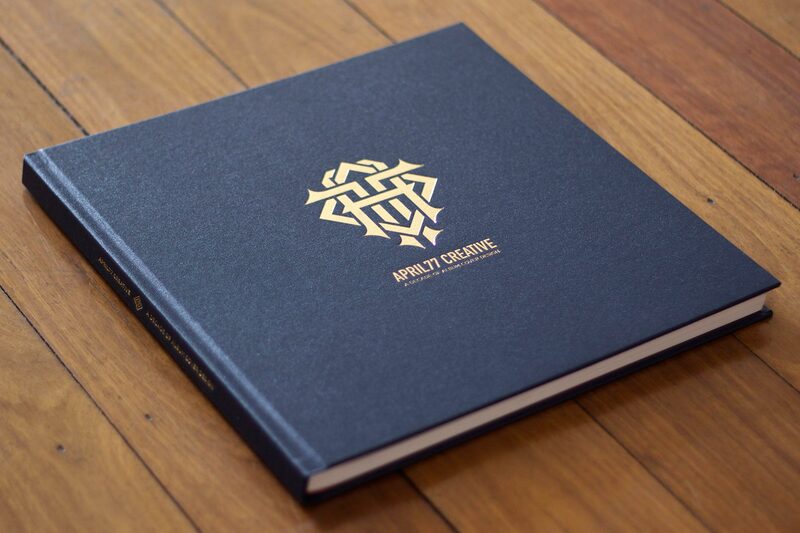 Beautifully bound and printed on high quality matte paper stock by Whites Law Bindery, this full colour hard bound book with premium gold foil stamped cover features 112 pages of album cover design as well as internal and supplementary artwork for many projects, single covers, logos, concept designs and alternate versions which have never been seen or printed before. 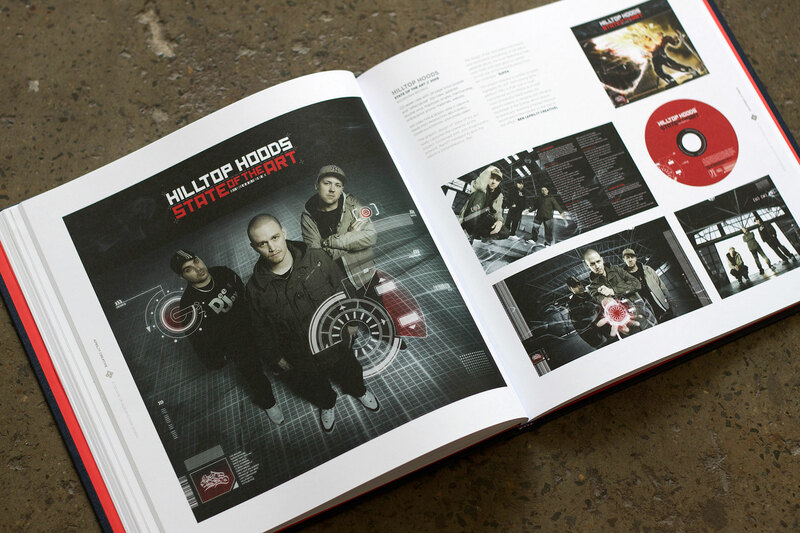 The book also features an introductory essay by Stealth Magazine‘s founder and editor Mark Pollard, client testimonials by Suffa (Hilltop Hoods), Pegz (Obese Records) and Bliss (Bliss N Eso). 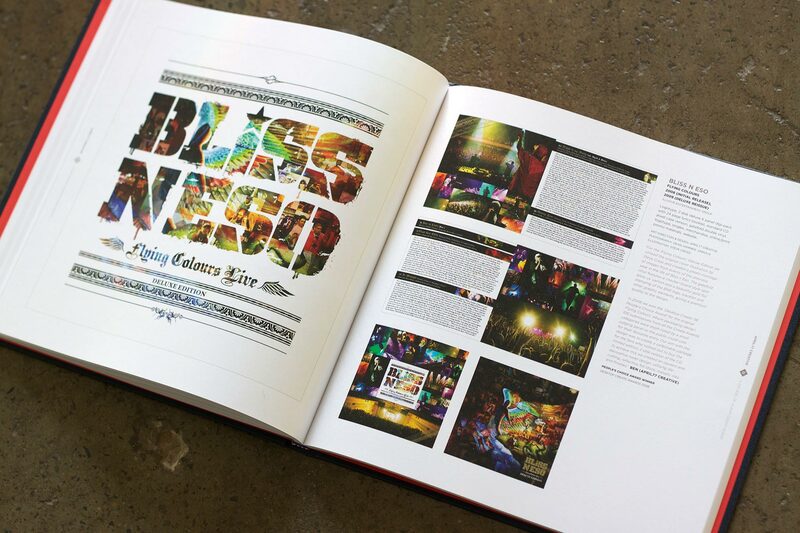 In addition, many of the artists whose covers are featured were kind enough to contribute their personal thoughts and insight into the briefings, creative process and outcomes for their respective projects. 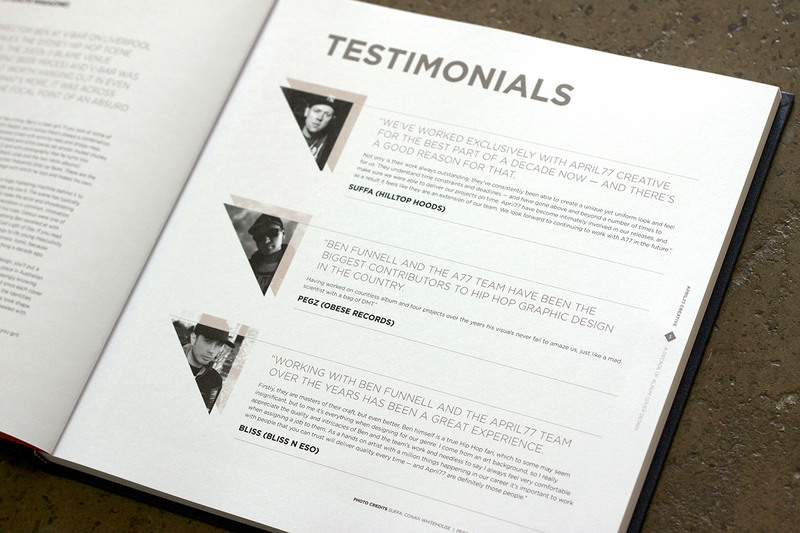 To view the promo video click here!